Time Magazine released its list of the 8 finalists for Person of the Year today. Here's the list (not from Time, because it has an auto play video.) Pretty lackluster. There are some odd choices, like Taylor Swift. And redundant ones, like Vladimir Putin, who was chosen in 2007 and 2012. TIME's choices for Person of the Year are often controversial. Editors are asked to choose the person or thing that had the greatest impact on the news, for good or ill — guidelines that leave them no choice but to select a newsworthy — not necessarily praiseworthy — cover subject. 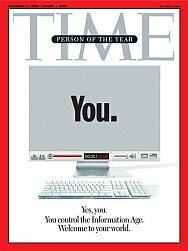 Time named Adolph Hitler "Person of the Year" in 1938 and Joseph Stalin twice, in 1939 and 1942. In 1979, it was Ayatollah Khomeini. Since groups of persons are now eligible, how did ISIS not make the list? Nobody got named person of the year by Time because they named everybody. The annual honor for 2006 went to each and every one of us, as Time cited the shift from institutions to individuals citizens of the new digital democracy, as the magazine put it. The winners this year were anyone using or creating content on the World Wide Web. It's really not us, of course, it's the web. But I guess saying it's us personalizes it a bit.